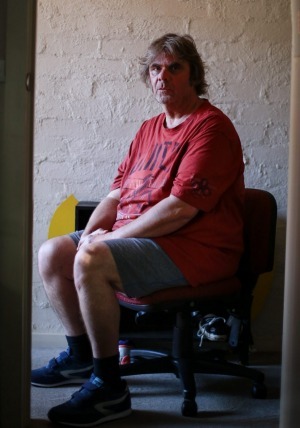 Mark Fabbro, a victim of abuse at Xavier College, has called for greater transparency (photo: Steven Siewert). Former Xavier College students who were abused at the school say claims of just nine cases of abuse are just "the tip of the iceberg". Days after principal Chris Hayes admitted nine legal cases of abuse in the 1960s and 1970s were later settled, victims are demanding the college and Jesuits speak out about the true extent of the abuse. They claim to be aware of dozens more cases during the same period. Janusz Skarbek, an abused victim who went to Xavier College (photo: Eddie Jim). Victim advocate Mark Fabbro​ said the number of cases was "definitely more than nine", adding more victims were still reluctant to speak about the abuse they were subjected to. "The figures that were produced by the principal of Xavier in my mind, with the knowledge I have ... is that that figure is grossly inadequate in terms of the numbers of cases," Mr Fabbro​ said. Victim Janusz Skarbek​ said he knew of 35 other victims of abuse by Jesuit priests and brothers, with most cases involving abuse at the college. Mr Fabbro, abused in 1972 by Father John Byrne, said he was concerned no Jesuit staff had been charged in relation to alleged offences against past Xavier students. He called for greater transparency about historic abuse, and information about when the Jesuits had knowingly sent perpetrators to other affiliated schools. Father Byrne also worked at St Patrick's College and St Ignatius' College Riverview. He died in 1974. Mr Skarbek​ has been negotiating with the Jesuits for nearly three years for compensation for his abuse in 1971 and 1974. He said he is seeking to establish a foundation supporting victims of abuse – modelled on the Jewish advocacy and support group Tzedek​ – because the Jesuits' response to victims had been inadequate. "The Jesuits put this under the carpet and hoped it would go away and used pressure against victims to not come forward and talk about it. I would like to see them recognise this as a problem that they have created." The Australian Jesuits is responsible for resolving cases of abuse at Xavier College by seeking mediation or offering compensation. Australian Jesuits Provincial Father Brian McCoy said the Jesuits respond "compassionately, contritely, generously" to claims of abuse. He said five former students were seeking compensation from the body. Rector for Xavier College, Chris Middleton, said the school's information was provided by the Jesuits.